Using carefully selected modular units, we design comprehensive prefabricated modular buildings, which represent the best value for money in terms of time and cost. When looking for functional solutions, we listen to the wishes and needs of the customer, while following prescribed guidelines and legal requirements. REM’s modern prefabricated modular buildings are distinguished by their wide range of applications, their sophisticated exterior design and the high level of quality, which is demonstrated by the European Technical Assessment. Our prefabricated modular buildings provide our customers with exceptional and functional spatial solutions, which are distinguished in particular by quick construction, since individual modular units are manufactured in our production facility, then transported to the site, where they are assembled into a complete building. In Slovenia, Europe and elsewhere in the world, we have already designed schools, nursery schools, office buildings and hotels, sales and exhibition salons and other modern buildings. 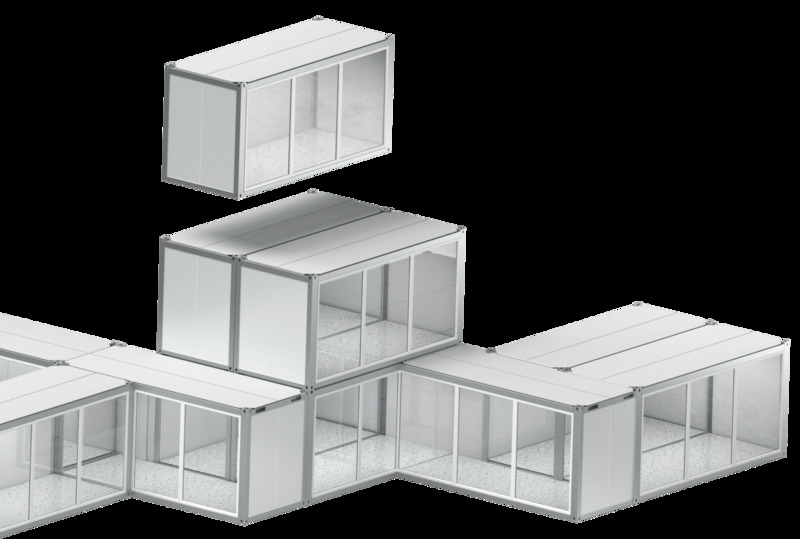 In searching for optimal solutions, our modular units can be customized both in terms of size and the selection of materials; we also provide additional equipment if so required by the customer. Prefabricated modular buildings are the right solution for your spatial requirements. In REM, we design comprehensive educational facilities for different age groups and purposes that can serve as permanent or temporary structures; as independent units or extensions.